R. “Mark” Enns grew up working on the family’s fourth generation wheat and cattle operation in northwest Oklahoma. Those early experiences stimulated his interest in livestock and agriculture and led him to undergraduate degrees from Tabor College, and master’s and doctorate degrees in animal breeding and genetics from Colorado State University. After completing his education, he worked two years in New Zealand for Landcorp Farming Ltd., the largest ranching company in that country. At Landcorp, he developed genetic improvement programs for beef cattle, deer, sheep and goats. After his time in New Zealand, he spent four years at the University of Arizona and then joined the Department of Animal Sciences at CSU in 2001. 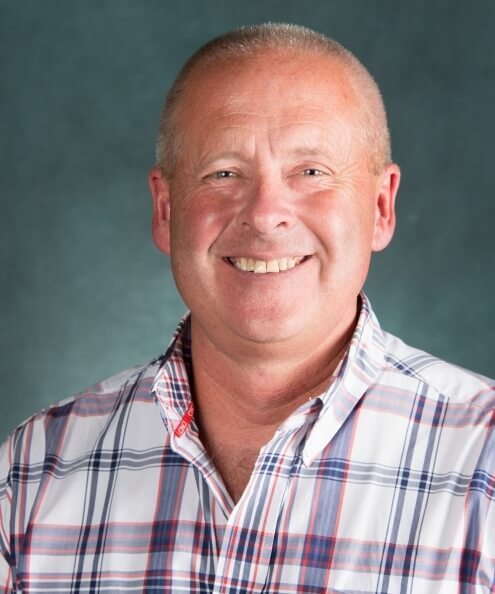 As a professor at CSU he teaches courses at both the undergraduate and graduate level in animal breeding and genetics and in livestock production systems. His primary research focus is on beef cow adaptability/longevity and genetic improvement in susceptibility to bovine respiratory disease and pulmonary hypertension (also known as high mountain or brisket disease). He has special interest in using multi-trait selection and genetic improvement to improve profitability of beef production at the producer level. Enns serves the beef industry through the CSU Center for Genetic Evaluation of Livestock—a center that calculates expected progency differences and performs foundational genetic evaluation research for breed associations and producer groups both nationally and internationally. In addition, he serves on the board of directors for the Beef Improvement Federation as the western region secretary.